Sinus Surgery India,Endoscopic Sinus Surgery, India Endoscopic Sinus. 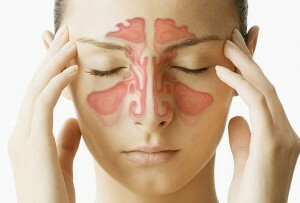 Seeking relief from painful sinusitis? Now you can, here in India. A breakthrough was achieved by doctors in the city last week as balloon sinuplasty was performed on a patient who was cured of chronic sinusitis in just one day. Gone are the days when someone seeking surgical relief from sinusitis would be exposed to conventional surgery that required him to get admitted, stay overnight at the hospital and forced to rest for a week or more to recuperate. The Surgeon from a leading Specialist Hospital in India performed the pioneering surgery in India on a 53-year-old man suffering from chronic sinusitis. Balloon sinuplasty is the latest technique in sinus surgery where doctors use balloons to dilate the sinus openings instead of using endoscopic instruments like microdebriders and forceps. 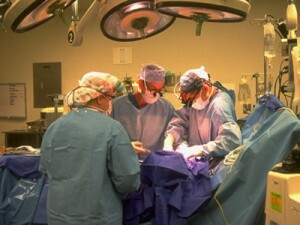 The technique is similar to angioplasty where balloons are used to open blocked vessels. Sinuplasty causes less trauma to the surrounding tissue and the natural sinus openings are preserved at the end of the surgery. Recovery is faster than conventional sinus surgery. They used the spin device, which is the most advanced of all the balloon sinuplasties. Balloon sinuplasty is the new thing in the ENT field. It cures chronic sinusitis in the safest and least invasive way. The patient, a busy executive and frequent flier, found his lifestyle increasingly affected by his ailment. After the initial CT scan, we found that his blocked sinus had to be cleared. For a busy professional like him, balloon sinuplasty was the quickest and safest mode of treatment. It brought him quick relief with minimum trauma. The surgery was performed for the first time in a leading Hospital in India. The team was extremely happy to be a part of the feat. With this they hope more and more patients in India will opt for it. However, not all patients are advised this surgery. It’s not effective in removing nasal polyps or in patients with extensive scarring of their sinus openings. Balloon sinuplasty has associated risks, including tissue and mucosal trauma, infection or possible optic injury. The surgery is performed under general anesthesia. X-ray imaging is used to follow the course of the catheter to ensure it is in proper sinus. Working endoscopically through the nose, the surgeons thread a catheter through the nostril and into the sinus cavity. Attached to the catheter is a wire, which is then followed by a small balloon. The balloon is inflated and enlarges the sinus opening to allow the sinus cavity to drain better. Unlike traditional sinus surgery, balloon sinuplasty doesn’t involve cutting through the skin since it is performed through the nostrils. Therefore, the patient can go home the same day. Most chronic sinusitis patients report clinically meaningful improvement in sinus symptoms and quality of life through two years following the surgery. 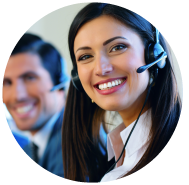 In a study of in-office balloon dilation, most patients returned to work and normal activity within two days.